The more scientists study the Sea Buckthorn plant, the more amazed they become at the many benefits it provides to the body. One of these benefits is an unusual concentration of the essential omega-7 fatty acid. Sea buckthorn is the best source of Omega-7 and the richest plant source in the world for the rare EFA. Omega-7 helps the body maintain itself in a variety of ways, including counteracting weight gain. The discovery of this fact has obviously produced a great amount of interest among medical researchers, and initial surprising research has many predicting that the EFA could be a powerful tool in the weight loss battle. The essential “omega” fatty acids are an important source of fuel and building blocks for many of the body’s components. Sea Buckthorn contains many of the omega fatty acids, but the one that sets it apart from other plants is omega-7. It is rarer than most of the others, and is also known by the name palmitoleic acid. Fish oil has long been used as a good source for it, and it is also supplied by some animal oils and vegetable oils. It hardly ever appears in plant products, with the exceptions of macadamia oil and Sea Buckthorn. The concentration of omega-7 in Sea Buckthorn is up to 40 percent, over twice that of macadamia oil. This makes Sea Buckthorn a plenteous, efficient source of this powerful EFA without the need to consume fatty meats or take supplemental fish oil capsules. Eastern medicinal systems have long relied on Sea Buckthorn Omega 7 to relieve ulcers and other gastrointestinal problems. This is because the large amounts of omega-7 build up the inner linings of the stomach and intestines, protecting them from damage. For people who suffer from chronic pain caused by acidic foods or stress-created ulcers, this natural supplement could replace a range of medicines that treat the symptoms, not the root problems. Learn more about sea buckthorn’s support for the digestive system here. Omega-7 is also behind the plant’s famous ability to rejuvenate the skin and promote healthy healing after damage. It is a powerful source of nourishment for the skin’s collagen, strengthening existing skin and repairing injuries. Read about sea buckthorn and beautiful skin here. As of yet, the connection between Sea Buckthorn and weight gain prevention is not fully understood. The answer seems to lie with the plant’s high omega-7 concentration, which is unique among edible plants. Preliminary research indicates that the EFA may oxidize fat that is not needed for the body’s functions, preventing it from being stored as unwelcome weight gain. As scientists work to learn just how this process works, experts in the healthy living field are watching closely and have already begun to spread the word about this and the other many benefits that Sea Buckthorn provides. Read about Dr. Oz’s sea buckthorn recommendation for weight management. This entry was posted in Omega-7. Bookmark the permalink. Is it by any chance possible that anyone can advise me where I can find ‘Sea Buckthorn Omega 7’. I live in South Africa, the province of ‘KwaZulu Natal’, in the city of ‘Durban’. I have searched high & low, but it doesn’t seem that anybody stocks it. Unfortunately we don’t know where it’s located outside of the United States. You can try an online store here in the states that ships internationally. On the right side of our page is a link to one – it’s a sponsor ad that sells online. Maybe they can help you find Sea Buckthorn Omega 7. Good luck! I have some Omega-7 Complete and I got mine from the local Health Store or you can get it from GNC Stores. If you want more information contact me through my email. 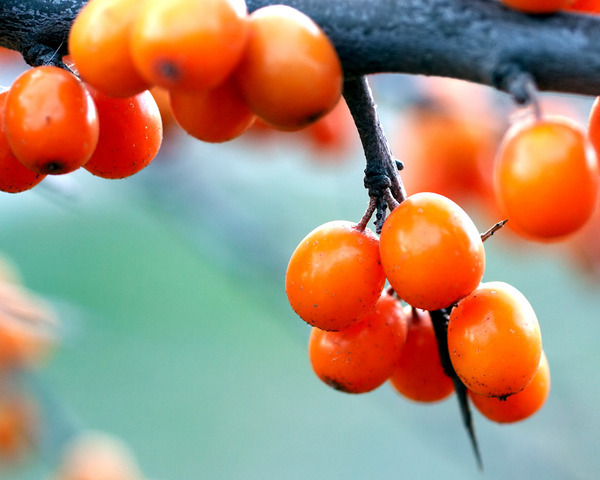 Yep, you can find sea buckthorn at many health food stores, online retailers, and others. 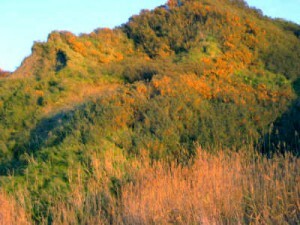 We have a sponsored ad on the right hand side of our website that goes to the sea buckthorn page of Tao Of Herbs.com. They also sell nationwide and internationally I believe. Please let me know where. Have you used this sulpliment befor ? Have a look on their site if they deliver to your Country. I believe that Sea Buckthorn has amazing qualities, and I believe historically it was used with great success in the East ( but not the West). However, I cannot help but wonder how something so good should have lost it’s popularity for so many years.Any help here will be gratefully appreciated, — Cheers, Brian Maddox, Pattaya, Thailand. We can’t say how it lost its popularity but fortunately it has gained popularity here in the United States! We couldn’t be more grateful. Truthfully, we’re under the impression that it IS popular in eastern Asia and is just recently popular in the United States and apparently Europe is gaining momentum. The secret about Sea Buckthorn was found on Clay Tablets written by the gods that were on Earth. Ziusudra told Gilgamesh about the unique plant that has the ability to keep a man young. But when Gilgamesh took the plant and fell asleep a snake had eaten it. So Gilgamesh then ended up dying as a mortal. That plant meant eternal life for Gilgamesh. Can anyone tell me if Sea Buckthorn is safe to take alongside my high blood pressure tablets? Everyone is so different and there are so many types of medications out there. Sea buckthorn is a natural product and has been used for centuries. Even so, you should always consult with your physician before starting to take any supplement, especially if you are concerned about conflicts in medications. Better to be safe than sorry. Hope that helps. hi carole in fact omega-7 from wild salmon oil OR sea buckthorn regulate blood pressure, if i were U i would totally get rid of doctor’s prescriptions !! natural is the norm and medications are the crooked way ! I am on my second box of 150 capsules. Now taking 2 in the morning. This was recommended to me by my health store. How long before you see the benifits. I do have a good diet & I live a healthy life. Sometimes, I feel tired in the afternoons. If you are already living a healthy lifestyle and are just taking it for overall health, it may take a little longer to see results. It’s likely the results you will notice the most will be the effects on hair, nails and skin. As you probably already know, sea buckthorn has so many benefits and it really just depends on why you are taking it. If you feel tired in the afternoon, you may want to start taking your capsules around that time because all of the vitamins and minerals in the sea buckthorn oil may help give you a boost. Everyone is different and people who are already healthy may need more time to see results. However, a good rule of thumb would be about a month, give or take. My reply is quite late, but I only just discovered this site and your query with regards to sea buckthorn and taking it in conjunction with your blood pressure medication gave me cause for concern. I hope you haven’t had a medical crisis, especially as you mentioned being tired in the afternoons. I did run across some information that sea buckthorn can deplete potassium, particularly if you do not drink enough water and this side effect would be worse if taking blood pressure medication. There are blood pressure pills that are potassium-sparing (eg. Aldactone/spironalactone) and if your medication is not one of these, you need to speak to your doctor about possibly switching to one while taking sea buckthorn. You should also increase your fluid intake to at least two litres per day and have your doctor regularly monitor your potassium level. This is very important when you’re on blood pressure meds in any case as any kind of diuretic has the potential to deplete your potassium level, which can lead to cardiac complications. I have been taking SIBU Beauty sea buckthorn capsules since last September and I love what they do for my skin and hair, etc. However, I have always been prone to hypokalemia (low potassium), so I take a potassium supplement and drink lots of water, which is also good for skin, hair, and general, overall health. Take care! Would you be able to link the information you found about potassium depletion? We would be interested to learn more about this topic and haven’t seen lots of information about it. Ah- good point! Yes, sea buckthorn’s latin or scientific name is hippophae rhamnoides and the buckthorn in this article is Rhamnus catharticus. That would make sense- especially since buckthorn has a laxative quality. Yes as far as we know hippophae rhamnoides does not cause any kind of vitamin depletion. Thanks for sharing! ebay.co.uk can supply vitamins , minerals , supplements , omega 3,5,6,7,9, etc. Our company has been producing seabuckthorn oil, juice and wine for about 9 years. Seabuckthorn berries are harvested from wild nature of Mongolia where the weather is so harsh between -45C to 40C. For Barrett’s Esophagus, we suggest taking either capsules or droppers of sea buckthorn fruit oil. The Omega-7 that is in the oil can help support the delicate tissues in your esophagus and digestive tract. Take the maximum dosage suggested by the brand that you purchase. Many Thanks for your advice , I am following this treatment hoping for good results. will revert in due course. Is it safe to take cod liver oil at same as omega7? Yes, it is safe to take both sea buckthorn fruit oil and cod liver oil. However, you may want to consider just switching to a supplement that has both the sea buckthorn fruit AND seed oil. That’s because the seed oil has omega-3 and other anti-inflammatory properties just like cod liver oil has. That of course depends on what applications you are using the cod liver oil for, but it may save you some money to just buy one supplement instead of two. The time of day that you take it is totally up to you and what works for your schedule. Generally speaking, if you can take it on an empty stomach that is ideal since it will be better absorbed into your body. Taking on an empty stomach is not necessary but maybe that can help you decide what time to take it. Either way, just find a time that works for you. What is the dosage for weight loss? You should simply follow the serving suggestion from the product you have purchased. There is no need to take more than that. Same dosage as for every other use. I can confirm it works too, but only in conjunction with the usual efforts to cut calories and increase exercise. It’s not a magic bullet. I’d been trying to lose a bit of weight for years, but all my efforts didn’t work. I found sea buckthorn oil gave just that little extra kick and I lost about 2kg/4.5lb in a couple of months. If you’re taking it for weight loss, take it on an empty stomach about half an hour before your main meal of the day. But don’t exceed the recommended dose. More isn’t always better. We normally only eat minute traces of omega 7 in a normal diet, and extracts of this stuff haven’t been around for long enough to judge how safe it is. You bring up a good point about omega-7. The nice thing about sea buckthorn is that as long as you get a pure blend of sea buckthorn oil it is not an extract of Omega-7. You will see extracts of omega-7 typically from fish oil based supplements. Omega-7 extracts (where the only ingredient is isolated Omega-7) are not as stable and we aren’t sure how they will react in the body. The nice part about taking a sea buckthorn oil that is high quality is that contains not just Omega-7 but most of the other nutrients from the original plant material. That means your body knows how to process it much like it processes food. As long as you are getting a high quality sea buckthorn product that has been gently processed and not isolated, there is nothing to fear with the natural omega-7 content of sea buckthorn. I suggest you try growing the plant. It is very hardy and easy to grow. I live in los angeles and currently have 15 bushes. I cultivate the berries and make tea from the leaves! Combine with the moringa plany for major health benefits!!! I will be growing in thialand next year!!!! I live in Thailand and would love to know if you succeed and habe any seeds available? Thanks…. We don’t sell any products but you may be able to find sea buckthorn seeds online. We aren’t sure how well sea buckthorn would grow in Thailand that would sure be interesting to find out! Susan Dunham, I’m taking it for dry eyes and Sjogren’s symptoms. I’ve just started, so I will let you know as the weeks progress. I’m also taking sea buckthorn oil for Sjogren’s syndrome. It takes a couple of months to kick in, but has brought about a slight improvement to my dry eyes. However, I was also suffering quite debilitating tendinitis – another symptom of Sjogren’s – and this cleared up totally after three months on the oil. My one reservation about this oil is that omega 7 occurs in such tiny quantities in nature (apart from macadamia nuts, which still don’t contain a lot) that I wonder whether our metabolism is geared to cope with it. I therefore only take it three months on, three months off. I suspect that if there was going to be trouble, it would show up first in the liver enzymes. However, I get full blood work done every six months and on the last occasion my liver enzymes were in fact better than they’d been for years! Will omega 7 help with dry eye syndrome? Yes, Omega-7 has been shown to improve dry cell conditions-especially dry eyes! Check out this article to read more! Because of your situation, it would be best for you to speak with a medical professional about any limitations you may have with omega-7. It is a fatty acid, so we are unable to guarantee how your body will react to it. I recently consulted with a alternative GP who took me off my “Real Thing” Omega 3 salmon oil (2400 mg with EPA 1200mg & DHA 900 mg p.d.) which I had been taking for some years because he said that his collated info on me showed that fish oil was not suitable for me and put me onto Seabuckthorn instead, which he supplies. I have begun to experience my heart palpitations massively again, which I had almost brought under control up till then. I am having to once again resort to beta blockers – which in the past would always remove the symptoms of the palpitations, but now I am finding that the palpitations are really persistent and highly distressing to the point of having them even in my stomach region after taking the beta blockers and experiencing soreness in the heart region as well. The other matter is that I have high Tryglicerides – my “bad cholesterol” is slightly elevated but the Trygs are definitely too high. I am as from today going to go back onto the Salmon oil and I am thinking of continuing the Seabuckthorn but lowering the dose slightly. I am unaware of the amount that each small gel capsule contains but i have been taking 4 pd on his recommendation. I also have to take Eltroxin for my thyroid and monitor this regularly which obviously complicates matters for me on the palpitation side of things. Could you please advise me as to what you think? I am 65 and in relatively good health, have never smoked but am loathe to stop my glass or two of wine at night, or my occasionally spicy foods as these obviously exacerbate my condition. I also want to say that I am a great believer in the harm of sugar, and don’t feel that I overdo sugary things – I try to be aware of my intake (stopped taking 1 tsp of sugar in tea) but it seems that I am supposed to stop anything and everything to do with sugar..what to do about that as well please? Thank you. As i am not sure I will see your reply could I ask if it can be sent to my email address as well thank you most kindly. Colleen South Africa. Are you taking blood thinners by chance? If so you shouldn’t also be taking sea buckthorn oil as it is a blood thinner. If you are having still these symptoms you should definitely talk to your doctor about it. It’s possible that the sea buckthorn could be interacting with your other medications. When you say you are taking “4 pd” do you mean you are taking four capsules per day? If so, that sounds quite high, unless the capsules are small. Most sea buckthorn gel caps you find will be about 500 mg each and most brands suggest that you only take two a day. Heart palpitations are a serious symptom that you should talk to your health care provider about. If the prescribed supplements they gave you are making you feel bad you should make sure to let them know in case a bad interaction is happening. Sorry, it sounds like you need real medical advice and we simply aren’t qualified to give that to you. Please talk to your doctor as soon as possible. Colleen, I take fish oil for my heart palpitations. 1200mg one in the morning and one at night. Kelp is also good for that. Sounds like your Doctor just wants to sell his product. How the oxidation and rancidity is prevented of omega 7. It is of very much concern because oxidation of all unsaturated fatty acids starts soon after of expelling. Today almost no company in this world is selling Omega 3/6/7 in reality. All soft gels contain rancid oil. Great question. The best way to ensure that you are getting a stable source of omega 7 is to find an oil that has been CO2 extracted and is not purified. Many omega oils are as you said, rancid or unstable because they are over processed. There are still a few brands of pure sea buckthorn oil that are only extracted using C02 extraction. This is a low temp method that preserves much of the nutritional content in sea buckthorn oil. Sea buckthorn is high in many other antioxidants and phytonutrients along with the fatty acid content. That makes it very shelf stable and prevents the oils from going rancid. Many fish oil products in particular go rancid because in addition to being extracted, the fatty acids are isolated from the rest of the nutrients in the fish product. That makes them unstable and prone to rancidity. Hope that helps! I am considering seabuckthorn. I have esophagitis, gastritis, and interstitial cystitis (painful bladder syndrome) and type II diabetes and high blood pressure. I take one blood pressure med…thats under control. 10 mg lisinopril. I have problems with high cholesterol more so. I want to take seabuckthorn due to digestive issues, but I was thinking instead of taking recommended dosage, to maybe taking one per week. I really want relief for digestive problems. I’m taking Zantac, and probiotic. I also suffer with the dreaded interstitial cystitis, also type 2 diabetes and high blood pressure. I have been taking Pharma Nord Seabuckthorn capsules for the last 3 weeks and have definitely noticed an improvement in the burning pain,(I have read it can repair the mucous lining of the bladder,) I don’t have any pain in the daytime now but strangely enough the pain starts up again before midnight? I don’t thankfully suffer from the frequency. I am awaiting a further course of bladder installations which sent me into remission before. I am 74, borderline diabetic, & diabetes is prominent in my family. I take NO drugs except Naturethroid, which has no fillers, is a prescription item but not covered by insurance because not put thru FDA process yet (very inexpensive). I use berberine for blood sugar, 500 mg 3X day with meals. Blood sugar is now about 83 (from 99+) before meals. If you research berberine, you’ll find it not only handles blood sugar but high cholesterol. You might consider MSM (sulfur), (be careful of source & processing), or d-mannose for bladder. I have bladder atrophy & find these help If I think I’m getting a bladder infection. Had a couple bad infections until I started using these. I bought a very dark, heavy glass bottle of sea buckthorn oil from Amazon last year and didn’t use it because everything on the bottle was written in German and Russian so I did not know the dosage or usage, and I even forgot what it was by the time it arrived, since I ordered a few other things as well. I wasn’t sure what it actually was, and had ordered it because of the high recommendation on it that I read on one web site some time back. One questions is: Would that very heavy oil be stable after a year in such a bottle—in Vrndavan, India, which is very hot in summer (up to or past 45-50C) Another question is that the color of this oil is a concentrated reddish-orange and is that an indication of its goodness? Also, can I take like a teaspoon of it just like that—from a spoon—without dilution? And, finally, can I massage this oil into face or hands? The stability of the product at this point would depend on how the oil that you purchased was processed and bottled. This can vary between companies, you should contact the company directly to find out about the shelf life of your particular product. The berry oil from sea buckthorn should be a bright red-orange color. If the color is bright and full, then it is more likely that the oil is pure rather than a diluted solution. Use of the product may vary depending on the company, but generally yes you can take a tablespoon of oil straight from the bottle. One of the easiest ways to get your daily intake is to just add the oil straight into a fruit smoothie or an already cooked sauce. You can also massage the oil into your hands and face. You have to be careful because that bright red color does have the ability to stain clothing and furniture. If you want to use it on your hands and face you can add a few drops of the oil to your lotion. Otherwise, you can apply the oil straight to your skin and after about 15 minutes you can rinse off whatever oil was not absorbed. Can I take Seabuckthorn Omega 7 and Monolaurin (for cold/flu) at the same time? Yes, that should be fine. However you should probably just call your pharmacist to double check that the medication does not interact with it. Just tell them you want to take an omega fatty acid supplement, because they probably don’t know what sea buckthorn is. The only type of medication we know for sure is not good to take with sea buckthorn is blood thinners. Other than that, it’s not likely to interact with anything but just check with the pharmacists to be sure. Can I take Flaxseed W/Omega 3 and Seabuckthorn Omega 7 at the same time. In other words; I take 2 Seabuckthorn Omega 7 tablets in the morning. At lunch or supper I only take only 1 Flaxseed W/Omega 3 gel tablet. Are there any side effects? Yes, you can definitely take both at the same time without fear of side effects. However, we would definitely recommend that once you finish your bottle of flax seed that you switch over to sea buckthorn seed oil. Sea buckthorn seed oil also has plant based omega 3, but it has more antioxidants and complex nutrition than flax. We would recommend finding a sea buckthorn Omega 7 product that is a blend of seed oil and berry oil in one capsule. That’s because you’ll get a better range of fatty acids and antioxidants. Plus you’ll just need to take one pill instead of having to buy multiple products.